Designation: Chief Medical Officer, Proton Partners International and Dean, University of Buckingham Medical School, Chief Physicist, Proton Partners International. List of Author(s): Sikora K, Pettingell J. Copyright: © 2018 Sikora K. This is an open-access article distributed under the terms of the Creative Commons Attribution License, which permits unrestricted use, distribution, and reproduction in any medium, provided the original author and source are credited. Radiotherapy is currently used in 50% of cancer patients. Proton therapy (PT) allows the more precise delivery of radiotherapy and can reduce the long-term damage to normal tissues surrounding a cancer which result in unpleasant symptoms many years later. But it is expensive, costing two to ten times more than traditional radiotherapy, depending on the system type. Meaningful, large scale, randomized trials with protons versus photons are unlikely for all clinical indications. Instead, the pre-treatment comparison of Proton Therapy versus state-of-the-art Intensity Modulated Radiotherapy (IMRT) in individual patients using pre-set metrics of plan quality will be used for deciding whether PT has significant advantages. This assessment can be made objectively by treatment planning software systems. Payers, government and insurers, will use set criteria to assess the value of PT in an individual using a comparative equation incorporating tumour control, early and late toxicity and overall lifetime costs of care. Such analyses will determine logically the level of the therapeutic plateau in the relationship of cost to gain in clinical outcome. The range of published estimates for the optimal utilization of protons in radical radiotherapy ranges from 1% (UK, NHS) to 20% in the US. Recent policy studies from several European countries indicate a 10-15% conversion to protons in patients treated with radiotherapy with radical intent. That would require 15-20 treatment facilities across Britain. We were one of the last European countries to have an operational proton therapy service and now need to catch up. The advent of more precise imaging methods and dramatic advances in information technology has led to the much more accurate delivery of radiation dose to tumours. A greater understanding of the distribution of critically sensitive organs at risk – each with their different toxicities has reduced both the early and most significantly, the late toxicity of radical treatments. Figure 1 shows the timeline of advance over the last 60 years. 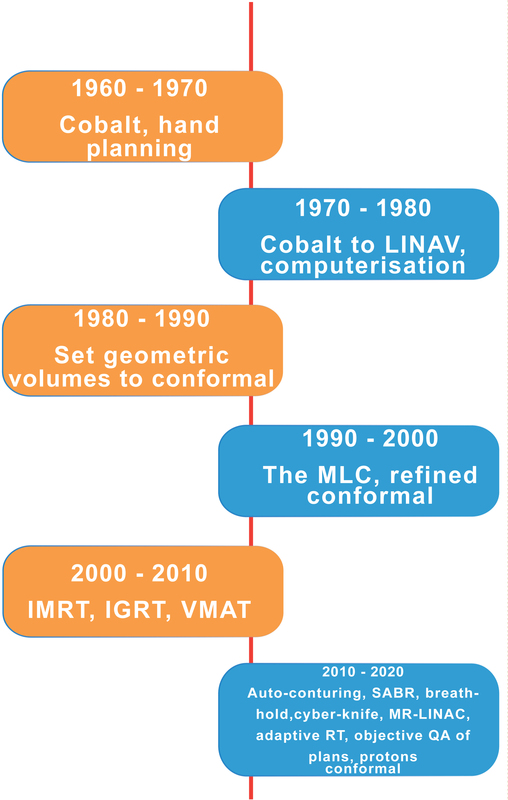 The evolution of precision radiotherapy. LINAC: linear accelerator; MLC: multi leaf collimator; IMRT: intensity modulated radiotherapy; IGRT: image guided radiotherapy; VMAT: volumetric modulated arc therapy; SABR; stereotactic ablative radiotherapy; MR-LINAC: Magnetic resonance linear accelerator; QA: quality assurance. Figure 1: The evolution of precision radiotherapy. LINAC: linear accelerator; MLC: multi leaf collimator; IMRT: intensity modulated radiotherapy; IGRT: image guided radiotherapy; VMAT: volumetric modulated arc therapy; SABR; stereotactic ablative radiotherapy; MR-LINAC: Magnetic resonance linear accelerator; QA: quality assurance. The transition from radioactive cobalt to the linear accelerator took place mainly in the 1970’s. This was the forerunner of computercontrolled collimators placed in the beam line to individualize the shape of each treatment field in real time. Millimeter accuracy was established by 1990 when conformal therapy – creating a specific and often irregular shape to the delivered radiation exactly following the shape of the cancer being treated. Further developments in beam shaping with intensity modulated radiotherapy and real time checking using image guidance heralded an era of even greater precision. Currently, we are seeing further developments with stereotactic ablative radiotherapy and real time magnetic resonance imaging allowing changes to field dimensions as the tumour shrinks – four dimensional or adaptive radiotherapy. It is likely that digital fusion images from multiple sources will create a continuous monitoring of tumour shrinkage during treatment, so again reducing toxicity to surrounding normal tissues. The considerable technical challenge of using magnetic resonance imaging concurrently with beam delivery has been solved and two commercial systems are now available. The discovery of X-rays and gamma rays in the late 19th century led to a revolution in the diagnosis and treatment of cancer. In 1903 William Bragg, a British physicist, discovered the very surprising behavior of particle radiation. But it was Ernest Rutherford in 1917 who first identified the proton as the key positively charged nuclear particle whilst working in Manchester. Protons are sub-atomic positively charged particles now produced by a circular accelerator called a cyclotron. The advantage of protons lies in something called the Bragg Peak – they stop at a defined point and release all their energy (Figure 2). This is the key to understanding why protons may be better for some patients by sparing critical radiosensitive tissue adjacent to the cancer . The different energy distribution of protons versus photons. Figure 2: The different energy distribution of protons versus photons. Before they reach the cancer, both proton and conventional radiation have to make their way through the patient’s skin and surrounding tissues. X-ray photons have no mass or charge and so X-ray beams are highly penetrating and deliver dose throughout any volume of tissue irradiated. However, most of the radiation is delivered only half a centimeter from the patient’s skin, depending on the energy it was initially given. It then gradually loses this energy until it reaches the target. As tumours are almost always deeply located in the body, the photon actively interacts with outer healthy cells and drops only a small remaining dose of ionizing radiation on the deeper diseased cells. Moreover, as photons are not all stopped by human tissue, they leave the patient’s body and continue to emit radiation as they leave the body. This is called the exit dose. Protons, on the other hand, exhibit Bragg peak behavior (Figure 2), and the depth of the peak depends on the energy given to the protons by the accelerator system. Therefore, by choosing the appropriate energy, a proton beam can be tuned to deliver maximum dose to the tumour with less dose to healthy tissue in front of the tumour and no dose at all to healthy tissue behind the tumour. The aim of radiotherapy is to deliver as high a dose as possible to the cancer but to spare critically sensitive normal tissues around it as much as possible . Certain organs are particularly sensitive - the spinal cord, base of brain, eye, intestine, liver and kidneys. The Bragg peak allows a more precise delivery of radiation dose to the cancer yet sparing any tissues downstream of the beam. In most patients the extra spread out dose from X-ray beams is clinically acceptable – where no significant sideffects are likely, and patients are older, so the possibility of secondary cancers is not an issue. In those circumstances X-ray treatments may be preferred as they are less sensitive to possible errors in patient setup or position than proton beams. They offer more convenience as treatment is available locally. But in a small minority of patients the extra targeting achieved with proton beams and the reduction in dose to surrounding tissues is vitally important. The problem is cost. Protons are 1835 times as big as electrons. Protons require far more energy to get them moving so a cyclotron or a synchrocyclotron is used to accelerate them round and round in circles getting faster and faster. These are large and expensive costing up to £80m with another £25m for the building to house them (Table 1). Recently costs have fallen and a compact model cost £15m. This still compares unfavorably with £1.5m for a conventional radiotherapy machine. And the staffing requirements are also much higher for protons – often four times that for a LINAC. This all means that the total cost per fraction of radiotherapy delivered is inevitably considerably more. Table 1: Cost of delivering a single proton fraction (a single treatment as part of a course of radiotherapy) - base cost LINAC photon fraction with state-of-the-art IMRT and IGRT £ 500. However, produced, proton therapy is significantly more expensive than conventional LINAC based radiotherapy currently. With legacy systems, the cost ratio of protons/ conventional radiotherapy is nearly tenfold. Such Varian systems are being installed at two sites by NHS England. With compact systems such as those installed by Proton Partners this falls to below two. As the price differential diminishes, it is likely that there will be increasing demand for protons where the planned target volume can be achieved with greater critical normal tissue sparing than by using photons. As Figure 3 shows, there has been a rapid growth globally in the number of PBT systems and the number of patients being treated in them. This is rising exponentially as more facilities become operational. The rise in the number of operational PBT facilities and the number of patients treated (data collected by IBA, Belgium). 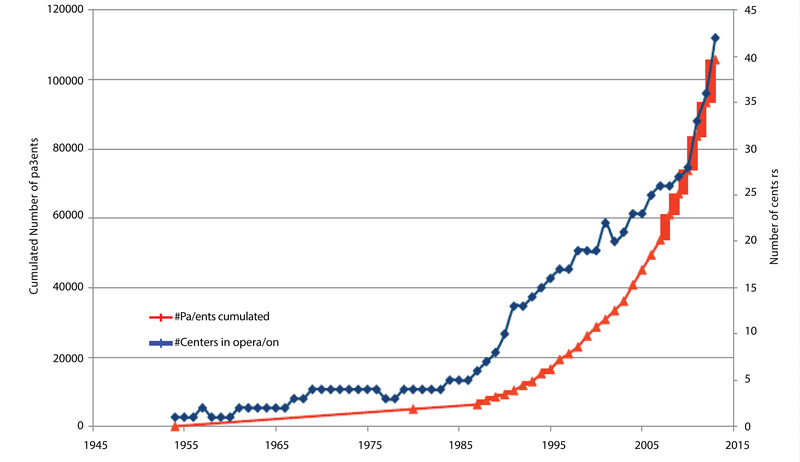 Figure 3: The rise in the number of operational PBT facilities and the number of patients treated (data collected by IBA, Belgium). Absolute indications - mainly children and young adults with spinal cord and base of brain tumours. A recent 2015 Freedom of Information request revealed that during 2016, 210 patients were sent abroad from the UK for PBT at a total treatment cost of £12.33m. There are estimated to be at least 750 of such children a year who would benefit from proton therapy in the UK. Cancer types where a significant proportion of patients are likely to benefit – lung, left breast, head and neck and oesophageal through reduced long-term side effects . Patients where the anatomy of the tumour and critical normal tissues favors a dose distribution with protons. This could be of any cancer type or site where radical radiotherapy is being proposed. That means the radiation is being given with the aim of eradicating the cancer so curing the patient. 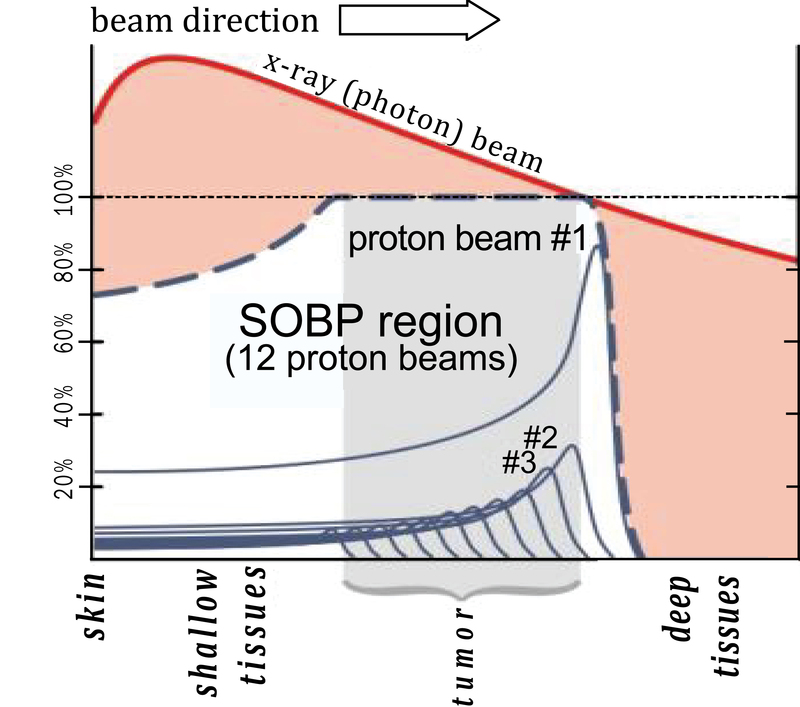 To determine whether protons will be indicated, it will be necessary to construct the proton and photon plans and conduct a comparative analysis of the dose volume histogram carried out manually or by computer scoring. This will require the development of normal tissue complication probability (NTCP) models which are applied to each patient to calculate their individual change in NTCP (ΔNTCP). This represents the difference between proton and photon treatments to different organs at risk. Purchasers of care can set the threshold for proton therapy based on a percentage of ΔNTCP above which protons are preferred for different organs at risk . It is likely that the European consensus of 10-15% of radical radiotherapy delivered by protons will emerge as the most realistic future scenario and this is now the basis of health department strategic planning in Holland, Germany, France, Italy and Scandinavia. This is at considerable variance with current NHS plans as outlined in NHS England’s current strategy document - A vision for radiotherapy 2014- 2024 - which calls for only the two facilities now under construction by the NHS, Cancer Research UK Report . The pooled European strategy data suggests a need for 0-20 PBT facilities in Britain. ‘Full business case approval is anticipated in early 2015 and the first patients are due to be treated in 2018. These centers will have a capacity to treat up to1500 patients per annum with a secure revenue stream through NHS England. This represents just 1% of radiotherapy in England. For continental Europe, facilities are already in place in Italy, Germany, France, the Czech Republic and Switzerland. The confirmed strategy for PT in Sweden, Denmark and Holland is for proton capacity to deliver 14, 15 and 10% of radiotherapy workload, respectively’. Since this was written, the dynamic has changed. There have been delays in the construction of the two NHS PT systems. One independent sector facility is now fully operational with five more under construction. A recently published road map by Dr Crellin completely ignores the impact of private sector development of this evolving technology . Source: PPI – internal timetable; NHS – Varian data; Advanced Oncotherapy – analyst’s report  (no high energy working prototype of this technology is as yet available). PPI centers use IBA and NHS centers Varian equipment. `We need to evaluate the actual need for PT in the UK in order to build up realistic capacity. Comparative estimates from other European countries suggest that between 15 to 20 PT facilities working at full capacity will be required by 2022. This would ensure that 10% of patients currently receiving radical radiotherapy would receive protons. This will require a major policy change in the organization of radiotherapy services and their IT networks. Figure 4 shows the likely rollout of PT facilities in the UK over the next five years. Provided there are no delays, this would still only provide for a 5% radical radiotherapy capability even when at full capacity with double shift and weekend working. Further investment, either public or private, is necessary at this stage in view of the time taken to construct and commission PT facilities. Timeline of operational proton facilities in the UK. Figure 4: Timeline of operational proton facilities in the UK. The Welsh Government’s Department for Health and Social Services have approved an initial collaboration between PPI and NHS Wales, to explore the delivery of a range of cancer services. The specialist commissioners, Welsh Health Specialized Services Committee (WHSSC), are producing a commissioning document for PT, which once all the quality and safety criteria are met will see Welsh patients treated at the Rutherford Cancer Centre. This clinic has just been successfully registered with Healthcare Inspectorate Wales, the equivalent of the English Care Quality Commission and has now treated its first patient. All radiotherapy plans are peer reviewed by the proton team at the University of Pennsylvania Hospital, Philadelphia prior to delivery . 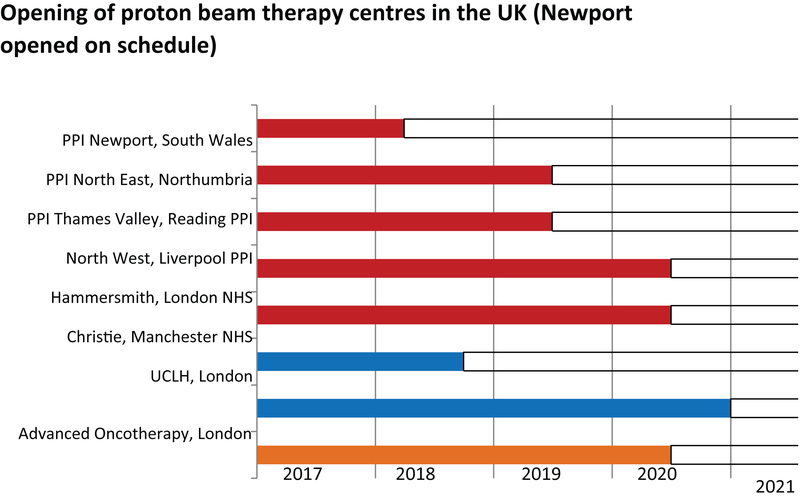 Unless there is an urgent policy change, the quality of UK radiotherapy will again fail to keep up with that of neighboring countries by 2020. There will be a repeat of the failure to introduce another new radiotherapy technology - IMRT and IGRT into routine clinical practice for more than a decade. This has now been at least partially corrected by the direct intervention of the Prime Minister’s Radiotherapy Fund. A leading US observer has commented that a network of small proton centers interconnected by a high- performance computer network in a public-private partnership is a rational way forward. In view of the time required to construct the necessary facilities we need to encourage such innovative collaborations if we are to ensure that all cancer patients get the best care possible. Both authors are founders of Proton Partners International Ltd. We contributed equally to this article.